It looks like Johnnie Walker Green Label will be discontinued. Update February 2015: JW Green may be available in North America again – more details here. I suspect the move has to do with sales. 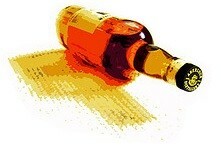 Johnny Walker Black and Red are quite affordable at $26 and $20 a bottle respective. 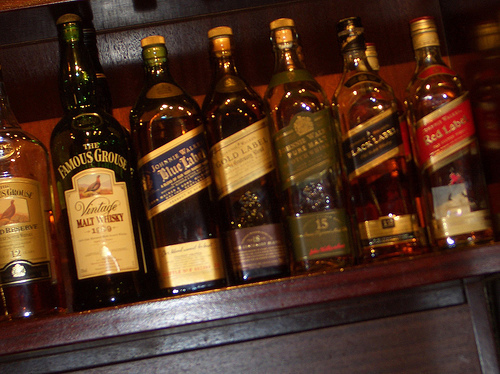 Johnnie Walker Blue lives in that “luxury” realm of scotch at $160 a bottle. Then you have Johnnie Walker Gold at $70. And Johnnie Walker Green at around $50 a bottle. To the novice scotch drinker or gift giver, you can either go inexpensive with Red and Black or you go up the luxury spectrum and consider Gold at $70 or Blue at twice the price. The $50 price point gets lost. I’ve tried each of the five, most recently I tried the Green, Gold and Blue in one sitting. I can’t honestly say that the Green stood out above the others in any meaningful way and at $50 I don’t know if it’s particularly memorable, I’m sad to say. While I’m always sad to see anything be discontinued, I’d be lying if I said I’d miss it but you can always try to make your own! It contains Talisker, Caol Ila, Cragganmore, and Linkwood with each being at least 15 years old.